I haven't quite had time to think about all of the pro's & con's of a walking vehicle, but for the all terrain areas it's built for, why wouldn't it work? 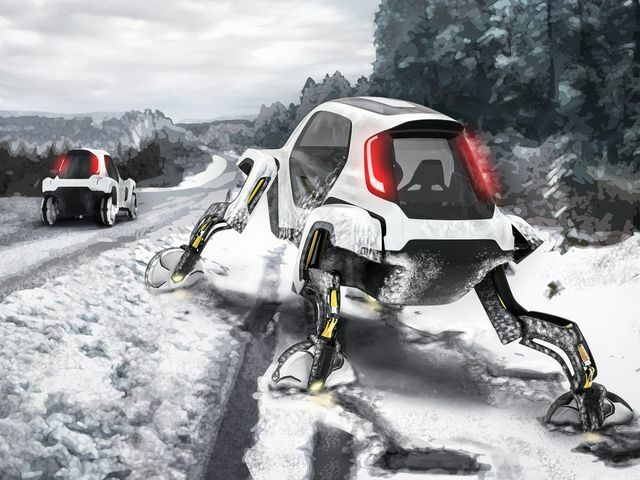 Hyundai have gone and announced its plan for a robotic concept car at this years Consumer Electronics Show in Vegas. Although I would imagine it's unlikely to go into production, we can dream of what this could mean for the future. A car that literally runs over traffic or has a different outfit for whatever suits your needs for the day? I'm going to need a wardrobe for the car & perhaps we can kick off with some matching outfits!